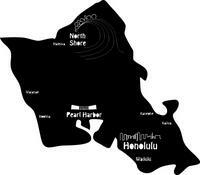 Use this Jumbo Oahu 12" and 8" Destinations Laser Cut as a page layout or to add on as an embellishment to your page. This laser cut is cut out on a 12x12 Cardstock. Destinations include North Shore, Haleiwa, Waianae, Koolina, Pearl Harbor, Kaneohe, Kailua, Honolulu and Waikiki.